Pesticides and herbicides include a variety of chemical compounds used to control and eliminate weeds and pests in both agricultural and non-agricultural settings. These products are used extensively on agricultural fields. They are also used to control weeds in forests, pastures, parks, athletic fields, golf courses, ponds, lakes, and home lawns and gardens. A common route for pesticides and herbicides to contaminate your water is through runoff from surface water and leaching into ground water. Pesticides are used to control insects and other â€œpestsâ€. Certain pesticides have been banned but may still be found in the environment. Herbicides may be used to control algal blooms in reservoirs and general weed control. These chemicals can seep into groundwater and collect in aquifers. Sometimes they are not filtered out through public water systems and ultimately end up in the water that is used for drinking, cooking, and bathing. There may be a range of health effects related to the nervous, respiratory, or reproductive systems, as well as the heart, liver or kidneys. 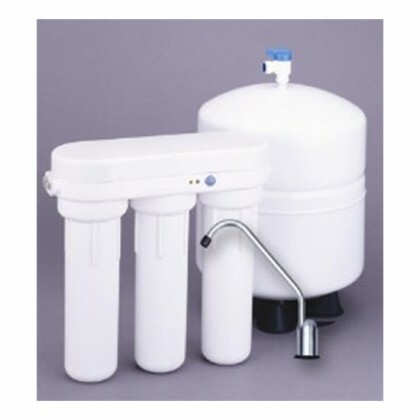 The recommended treatment for pesticides and herbicides is Reverse Osmosis with Granular Activated Carbon.